When we were choosing a stopover Kuala Lumpur was top of the list. Tickets only 40USD, Petronas towers, shopping, malay food and a chance to reunite with Mark’s uni friend after 16 years. Dylan tried to get us to buy him some angry birds but instead we went to the world’s largest free flight walk in aviary to see the real things. 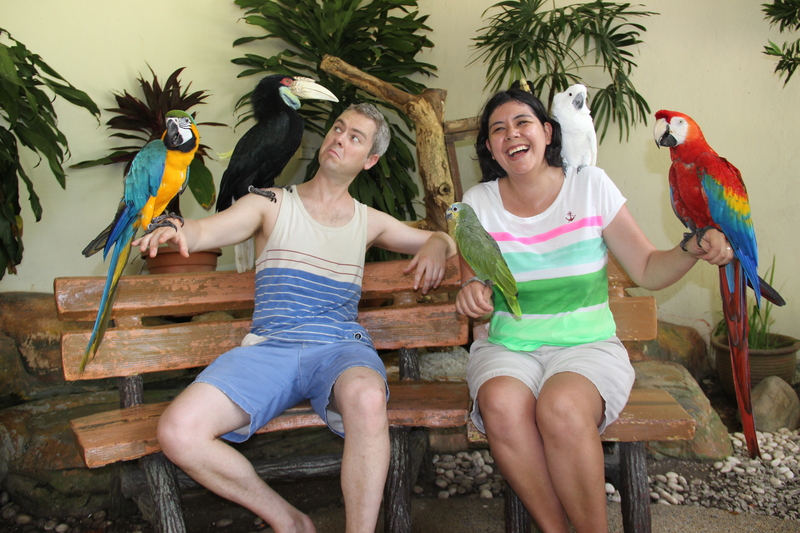 It was quite a hit except for when he was given the opportunity to have exotic birds perched all over him – he made us pay, queue and then ran off screaming leaving us covered in birds. KL continues to develop and grow with a frenzy! Having left the concrete jungle behind we have reached the jungle in Cambodia.